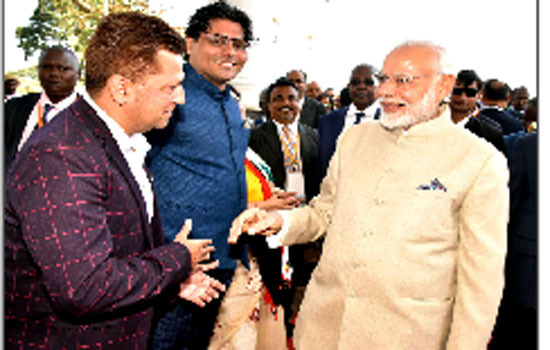 Mumbai: Designer RiyazGangji of Libas was invited by the President Museveni His Excellency of Uganda to receive Indian Prime Minister NarendraModi. Designer Riyaz Gangji was invited by the President of Uganda for the lunch in reception of Prime Minister NarendraModi. Riyaz Gangji of Libas is exclusive designing formal wear for his Excellency president YoweriMuseveni of Uganda . Prime Minister NarendraModi met Uganda President YoweriMuseveni on the sidelines of 25th Commonwealth Heads of Government Meeting (CHOGM) .